The below Terms and Conditions explain the rights, obligations and responsibilities of all parties. Where we use the word “you” or “your” it means the Customer; “we”, “us” or “our” means the Removalist. We reserve the right to amend the terms and conditions at any time, subject to before-hand written agreement. It is recommended that our customers arrange their own contents insurance to fully cover their goods. We have transit insurance, and it covers for Loading and Unloading from Vehicle damage and damages caused by road accidents. In Clauses 9, 10, 11 and 12; We limit or exclude Our liability for any loss and damage. 2.1 Pack the goods, if requested and we have agreed to do so. 2.2 Remove them at the agreed time and date and deliver to the delivery address. 2.3 Unpack them, if requested and we have agreed to do so. 3.1 Dismantling or assembling flat pack furniture or a property’s fitments or fittings. 3.2 Disconnecting or reconnecting any equipment or appliances. 3.3 Securing or preparing for transit, as necessary, equipment or appliances such as, but not limited to, securing washing machine drums. 3.4 Taking up or laying fitted floor coverings of any kind. 3.5 Removing storage heaters unless they are already disconnected and adequately dismantled. 3.6 Our staff are not qualified or authorized to carry out such work and we recommend that a proper qualified person be separately employed by you to carry out these services. We do not arrange insurance to cover your goods. 4.2 There are delays or events outside Our reasonable control which increase or extend the resources or time allowed to complete the agreed work. 4.3 We agree in writing to increase Our limit of liability set out in Clause 9.1 prior to the work commencing. 4.4 Unless already discussed and mutually agreed, minimum 2 hour charges apply. 4.5 You agree to pay any reasonable charges arising from the above circumstances. 4.6 Work not included in the quotation. 4.6.2 Disconnect, re-connect, dismantle or re-assemble appliances, fixtures, fittings or equipment. 4.6.3 Take up or lay fitted floor coverings. 4.6.4 Move items from a loft, unless properly lit and floored and safe access is provided. 4.6.5 Dismantle or assemble garden furniture and equipment including, but not limited to: sheds, greenhouses, garden shelters, outdoor play equipment, and satellite dishes, or move paving slabs, planters and the like. 4.6.6 Our staff are not authorized or qualified to carry out such work. We recommend that a properly qualified person is separately employed by You to carry out these services. 4.6.7 We have to collect or deliver goods at your request above the ground floor and first upper floor. The stairs, lifts or doorways are inadequate for free movement of the goods without mechanical equipment or structural alteration, or the road, approach, or drive is unsuitable for our vehicle and /or containers to load and/or unload within 20 meters of the doorway. 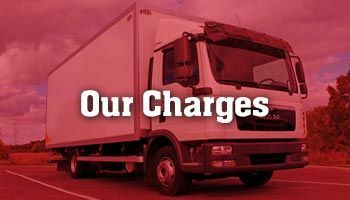 We have to pay parking or other fees or charges in order to carry out services on your behalf. There are delays or events outside our reasonable control which increase or extend the resources or time allowed to complete the agreed work. In any such circumstances, adjusted charges will apply and become payable. 5.1.1 Obtain at your own expense all documents, permits, licences, customs documents necessary for the move to be completed. 5.1.2 Be present or represented during the collection and delivery of the removal. Take all reasonable steps to ensure that nothing that should be removed is left behind and that nothing is taken away in error. 5.1.3 Arrange proper protection for goods left in unoccupied or unattended premises or where other people such as, but not limited to, tenants and workmen are or will be present. 5.1.4 Prepare adequately and stabilise all appliances and electronic equipment prior to their removal. 5.1.5 Empty, properly defrost and clean refrigerators and deep freezers. We are not responsible for the contents. 5.1.6 Provide us with a contact address for correspondence during removal transit and/or storage of goods. 5.1.7 Arrange adequate insurance cover for the goods submitted for removal transit, against all insurable risks as Our liability is limited under clauses 9.1 and 9.2. 5.1.8 Where We provide You with inventories, receipts, waybills, job sheets or other relevant documents You will ensure that they are signed by You or Your authorized representative as confirmation of collection or delivery of the Goods. 5.1.9 Prepare adequately and stabilize all appliances or electronic equipment prior to their removal. 5.2 Ensure that all domestic and garden appliances, including but not limited to washing machines, dish washers, hose pipes, petrol lawn mowers are clean and dry and have no residual fluid left in them. 5.3 It is the customer’s responsibility to ensure that items will fit in the new premises (e.g. size of sofa and size of aperture). Our removalists will not be insured to remove doors or windows in such cases and will be forced to drop the items outside the premises. It is the customer’s responsibility to organise a specialist if needed. 5.4 It is the customer’s responsibility to inform us about the awkward access. Awkward access can include, no vehicle access, no parking available in close proximity to the property and cramped stair and hallway conditions. We reserve the right to add extra costs due to unforeseen circumstances (e.g. waiting for keys or gaining entry, incorrect addresses, etc.). 5.5 Other than by reason of Our negligence or breach of contract, We will not be liable for any loss or damage, costs or additional charges that may arise from failure to discharge these responsibilities. 6.1.1 Unless previously agreed in writing by a director the following items must not be submitted for removal or storage and will under no circumstances be moved or stored by us and you should make your own arrangements for their transport and storage. 6.1.2 Prohibited or stolen goods, drugs, pornographic material, potentially dangerous, damaging or explosive items including gas bottles, aerosols, paints, firearms and ammunition. 6.1.3 Jewellery, watches, trinkets, precious stones or metals, money, deeds, securities, stamps, coins or goods or collections of any similar kind. 6.1.4 Plants or goods likely to encourage vermin or other pests or to cause infestation or contamination. 6.1.5 Perishable items and/or those requiring a controlled environment. 6.1.6 Any animals, birds or fish. 6.1.7 Goods which require special licence or government permission for export or import. 6.1.8 We shall notify You as soon as practicable if any of the Goods, are in Our opinion hazardous to health, dirty or unhygienic or likely to attract vermin or pests and under what conditions We would be prepared to accept such Goods or whether We refuse to accept them. Should We refuse to accept the goods We will have no liability to You. 6.1.9 Perishable items and/or those requiring a controlled environment. 6.2 Any animals, birds, fish, reptiles or plants. 6.2.1 Goods which require special licence or government permission for export or import. If you submit such goods without our knowledge we will make them available for your collection and if you do not collect them within a reasonable time we will apply for an appropriate court order to dispose of any such goods found in the consignment without notice. You will furthermore pay us any charges, expenses, damages, legal costs or penalties incurred by us. 7.1.1 By agreeing to undertake the removal or storage we incur costs in preparing for it and may also lose the opportunity to undertake further work that would use the same resources. We may suffer loss if you cancel or postpone the contract. 7.1.2 If you cancel or postpone more than 14 days before the removal date there shall be no charge payable by you. 7.1.3 If you cancel or postpone less than 14 days but more than 8 days before the removal date you shall pay to us a charge equivalent of 30% of the agreed removal charge. 7.1.4 If you cancel or postpone 8 days or less before the removal date you shall pay to us a charge equivalent to 60% of the agreed removal charge. 7.1.5 If you cancel or postpone less than 2 days before the removal date then you shall pay to us a charge equivalent to 100% of the agreed removal charge. We accept cash & Credit cards. In-case of Credit card payments additional surcharges apply. Payments must be made at the completion of the job. It is Your responsibility to ensure that You have enough money to pay the driver at the completion of the job. You may not withhold any part of the agreed price. In such a situation, the payment requested will also have an estimate of time that may take to unload the goods. If payment is not made in full in this situation, the unloading of goods will not start until such time the full payment is made. If any dispute arises on the payment amount and cannot be resolved at that time, We reserve the right to refuse to unload the goods until the time full payment is made. 9.1 If the Goods sustain damage by reason of defective or inadequate packing or unpacking, We will not be liable for that. Some wooden furniture might become weakened over time, and may not be suitable for moving, as it might not be able sustain its own weight when lifted, we will not be liable for crack/break appearing during move, unless its our fault and its dropped or scratched by us, we will not be liable. 9.2 Certain Goods (including, but not limited to , electrical and mechanical appliances, computer equipment, scientific instruments, certain musical instruments, and furniture made of pressed wood) are inherently susceptible to suffer damage or disorder no matter how carefully they are handled. We will not be liable in respect of these items, in any way. 9.3 Where You or a person with Your agreement participates in the move, We are not liable for any damages done to Your goods. You are advised to take Your own insurance for the transfer of goods. 10.1.1 If We cause loss or damage to premises or property other than goods for removal as a result of our negligence or breach of contract, our liability shall be limited to making good the damaged area only. An Insurance access fee may apply to the customer in case of claim. advice, and where moving the goods in the manner instructed is likely to cause damage, We shall not be liable. 11.1 We shall not be liable for loss or damage caused by fire or explosion. It is Your responsibility to insure Your Goods against fire or explosion. If You ask Us in writing to arrange fire insurance cover for You We will, provided You declare the full replacement value of Your Goods and pay the premium in advance. 11.2 We shall not be liable for delays or failures to provide the services under this Agreement as a result of war, invasion, acts of foreign enemies, hostilities (whether war is declared or not), civil war, terrorism, rebellion and/or military coup, Act of God, adverse weather, third party industrial action, re-scheduled sailing, departure or arrival times, port congestion, or other such events outside our reasonable control. 11.2.1. We will do our best to arrive within the time scale stated, however arrival times are estimated. 11.2.3. We do not accept any responsibility for any customer loses due to unforeseen or out of our control delivery/pick-up delays. 11.3.1 Normal wear and tear, natural or gradual deterioration, leakage or evaporation or from perishable or unstable goods. This includes goods left within furniture or appliances. 11.3.2 Moth or vermin or similar infestation. 11.3.3 Cleaning, repairing or restoring unless We arranged for the work to be carried out. 11.3.4 Changes caused by atmospheric conditions such as dampness, mould, mildew, rusting, tarnishing, corrosion, or gradual deterioration unless directly linked to ingress of water. 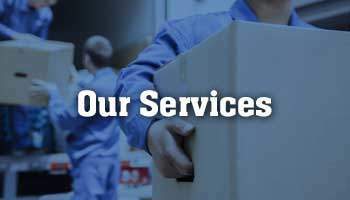 11.3.5 For any goods in wardrobes, drawers or appliances, or in a package, bundle, carton, case or other container not both packed and unpacked by Us. 11.3.6 For electrical or mechanical derangement to any appliance, instrument, clock, computer or other equipment unless there is evidence of related external damage. 11.3.7 For any goods which have a pre-existing defect or are inherently defective. 11.3.8 For perishable items and/or those requiring a controlled environment. 11.3.9 For items referred to in Clause 4. 11.5 Where goods are handed over to You or Your authorised agent Our liability will cease upon handing over the goods to You or Your authorised representative (see Clause 11.1 below). 11.6 We will not be liable for any loss or damage caused by Us or Our employees or agents in circumstances where: (a) there is no breach of this Agreement by Us or by any of Our employees or agents (b) such loss or damage is not a reasonably foreseeable result of any such breach. 12.1 For goods which We deliver, You must advise us in writing of any loss and damage within seven days of delivery by Us. We may agree to extend this time limit upon receipt of Your written request provided such request is received within seven (7) days of delivery. Consent to such a request will not be unreasonably withheld. 13.2 If through no fault of ours We are unable to deliver Your goods, We will take them into storage. The Agreement will then be fulfilled and any additional service(s), including storage and delivery, will be at Your expense. “Lien” is the legal right of the remover to hold goods until the customer has paid all outstanding charges. We shall have a right to withhold and ultimately dispose of some or all of the goods if You fail to pay the charges and any other payments due under this or any other Agreement. (See also Clause 22). These include any charges that We have paid out on Your behalf. While We hold the goods You will be liable to pay all storage charges and other costs (including legal costs) reasonably incurred by Us in recovering Our charges and applying Our right of lien. These terms and conditions shall continue to apply. There will be an extra charge when passing through the Tullamarine Citylink/ Monash link/ Eastlink zones and the customer will be charged accordingly (Unless otherwise stated). Verbal or threatening behaviour will not be tolerated. If the driver is forced to leave the job because of verbal or any other abuse from the customer; the customer will still be liable to pay in full.